At the professional learning day on Monday, our educators were immersed in conversations around assessment practices. Educators reviewed best practices on how to truly assess student learning and then had work time in buildings and teams to review practices. We will continue these conversations into our next professional learning day on March 19. On Tuesday, we held our second referendum informational meeting. We appreciate the attendance and are compiling questions and responses in our FAQ section. If you haven't checked out the Referendum 2018 webpage recently, all nine of the videos have been uploaded, including one on absentee voting. The next informational session is on March 5. Congratulations to our WHS winter sports teams for their accomplishments: 1 swimmer to state, 6 wrestlers to sectionals, and both boys' and girls' basketball teams are still in the WIAA tournaments. 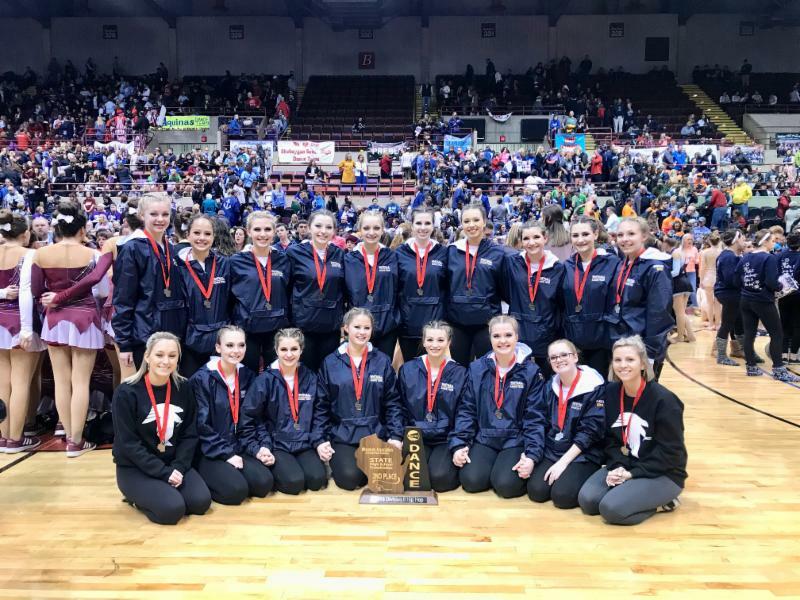 A special congratulations to our dance team for being regional champions and for taking second at state. Our boys' basketball team secured the overall Woodland Conference championship this past Wednesday. And, our WMS 8th grade team won their conference championship! Thank you to all parents and students who attended our grading discussions on February 13th and 22nd. Find the link to the presentation HERE . If you have questions or would like further discussion, please contact Lynn LeRoy ( lleroy@whitnall.com ). Next week is the Hales Corners Library annual fundraiser, “The Tastes of Hales Corners.” All funds raised support the library’s summer reading programs and reading clubs. Here is a flyer with more information! Each year, the Department of Public Instruction (DPI) surveys families of students with IEPs. Locally, each district participates in the survey once every five years. Whitnall is scheduled to participate during this school year, between February and June. This survey is part of a federal data collection that measures parent perception of the IEP process and parent involvement. Locally, the information will be used to review our practices and plan for improvements. If you have a child with an IEP you will receive an email with specific directions for participating in the survey. We hope that everyone will participate so that we have as much feedback as possible to review. Juniors will be taking the ACT on Tuesday, February 27th. Only Juniors should report to the high school on Tuesday. On Wednesday, the regular schedule will resume for grades 9,10, and 12. On Wednesday, Juniors will take the Work Keys Assessment during periods 1-4. The next WMS PTO meeting will be held on Wednesday, March 7 at 6:30 PM in the WMS Cafeteria. There will be no PTO meeting on March 14. The daily schedule for the middle school is posted on our website. Please click here to view. Conferences will be held on March 13. More information about conferences will be coming soon. Teachers will be sending home a letter with details about spring parent teacher conferences, which are scheduled for mid-March. Please check your child’s take home folder for this important information. The annual Family Fun Dance and Silent Auction is set for Friday, March 2 from 6:30 to 9:00 PM at Whitnall Middle School. For more information and to register, click here . Volunteers are also needed to help make this event a success! Sign up here . The next scheduled box top prize drawing is Friday, March 9th. Keep clipping and sending those box tops to school! HCE is celebrating Read Across America Spirit Week February 26 through March 2. The schedule is linked HERE . Our K4, K5, and first grade students and families are invited to the Hales Corners Library on March 2 at 6:30 PM to celebrate Dr. Seuss’s birthday. This event is co-sponsored by the Friends of the Library and the Whitnall School District. HCE 4th graders visited Madison today! Follow HCE Principal Mrs. Komas on Twitter (@Lori_Komas) to check out some of the pictures from the trip to our state capital.